I’ve made this point before and I’ll make it again. I love when I come across puzzle games that are just different as they usually are amazing. 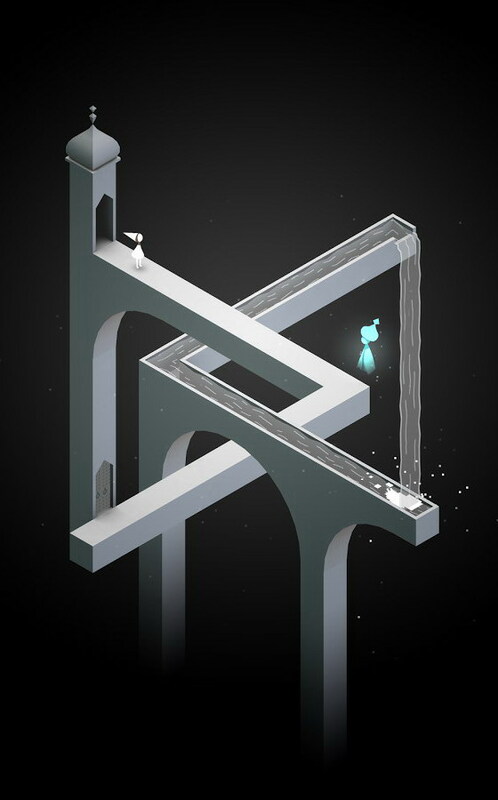 Most puzzle games follow the same formulas over and over again just (barely) changing the graphics. But every once in awhile you get a puzzle title that blows you away for whatever reason. 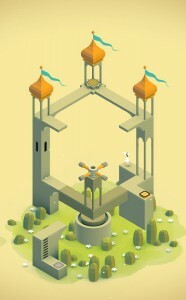 Monument Valley is a puzzle game like that. The first thing you’ll notice with Monument Valley is just how beautiful and stunning the graphics are in each level. They really could be prints hanging in a gallery somewhere. Each level is 3D minimalist and will leave your mouth open. From there the actual levels themselves are great. Basically the point behind Monument Valley is you guide a silent princess through these breathtaking and impossibly geometric architectural structures. To do this you simply twist and drag the world about to manipulate these Escher-like wonders. 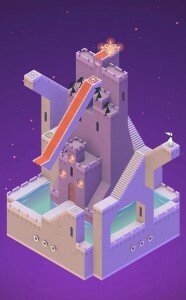 Monument Valley will set you back $3.99 but for the hand craftiness that it has and the visuals it invokes it is well worth it.